Recently I have received a surprize package with yarn samples from Red Heart Yarns in Germany. 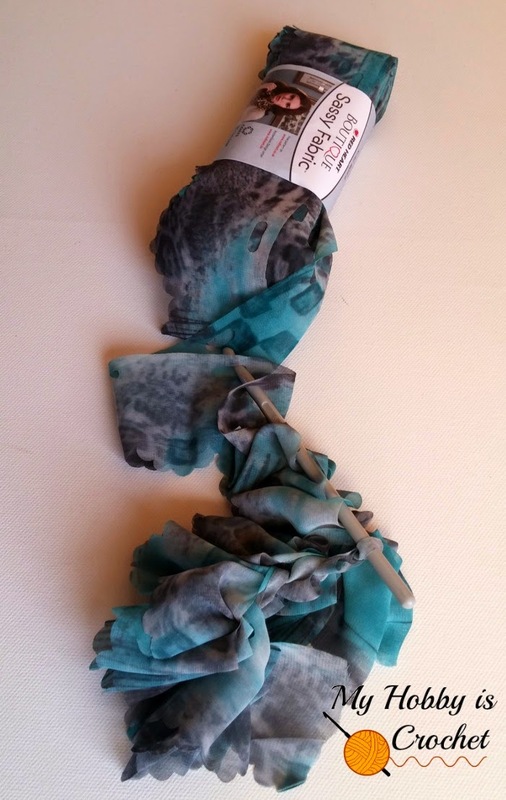 Between the yarn skeins I found a pretty Boutique Sassy Fabric, colorway Aquamarine Panther. *Disclaimer: I was gifted with free yarn samples, but I was not compensated to make this review. All opinions are my own. Sassy Fabric is a delicate, fine fabric strip with evenly spaced holes that you can crochet or knit. 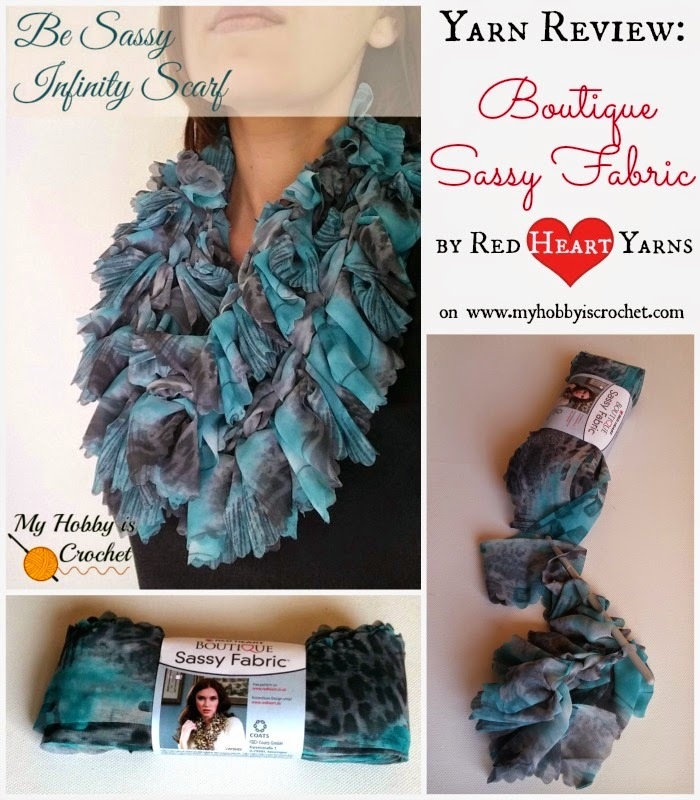 Boutique Sassy Fabric can be found on Red Heart Yarns in the US, but also by Red Heart Yarns in Europe: Germany and UK. While the European assortment includes polka dots and animal prints, the US one has in addition a few graphic prints and even a skull print.On their site you can find many free crochet patterns using this type of fabric yarn. 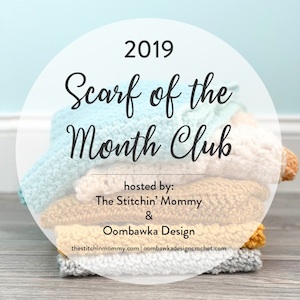 There is even a Video Tutorial by Mikey from The Crochet Crowd, showing you how to make a pretty scarf. Once you get the hang of it, it is really easy to work with this fabric yarn, even if you don’t have crochet experience. 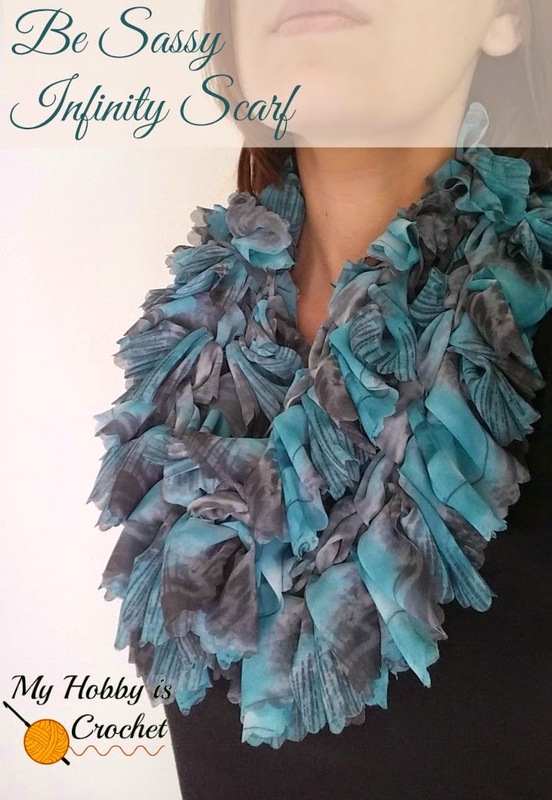 I gave it a try and made this pretty scarf "Be Sassy Scarf"! I loved how fast it went! Although this was the first time for me crocheting with Sassy Fabric Yarn, it took me less than an hour to make it! I followed the scarf tutorial exactly, but at the end I sew the ends together to have an infinity scarf. I like much more how it looks this way; it’s also much easier to put on. I have used the whole hank of yarn and my scarf measures 320 cm in circumference. 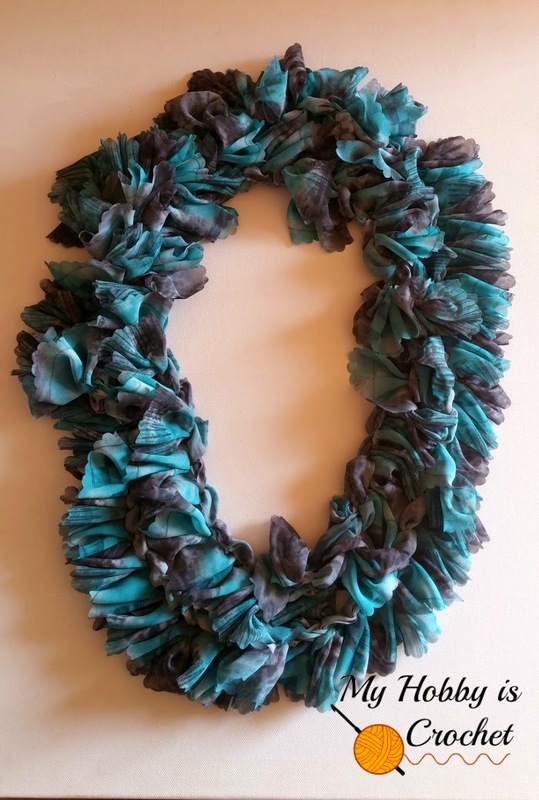 Now my little girl wants also a scarf like this! :) I have a Pink Polka Dot Sassy Fabric to make a child size version for her.